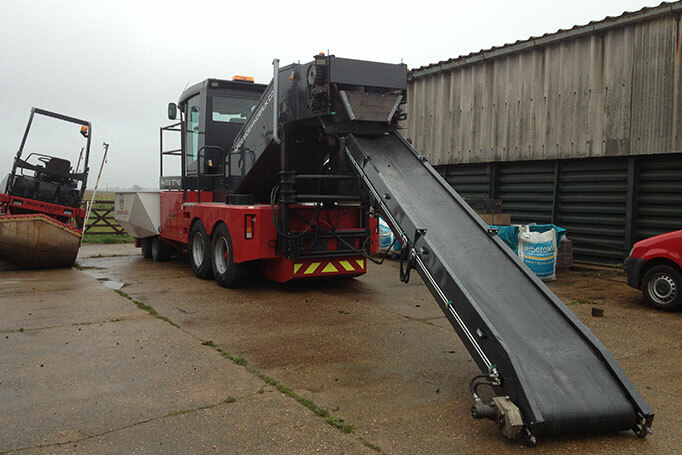 With the options to discharge material directly behind, to the left or the right, and with theoretical outputs in excess of 300 tonnes per hour, the Sidewinder® Shuttle can provide contractors another option for overcoming some of the problems of delivering material to strategically difficult situations, or as an aid to enhancing paving operations. By feeding material directly behind to a following paver, the Sidewinder® Shuttle can enhance the paving operation by enabling continuous paving. 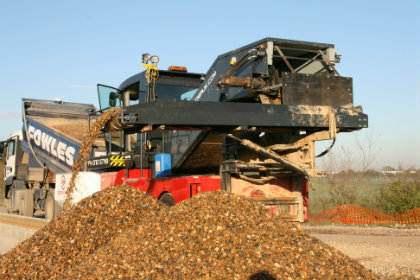 This works by maintaining the flow of material to the paver while the delivery trucks rotate when their loads are discharged to be replaced by the next full load. 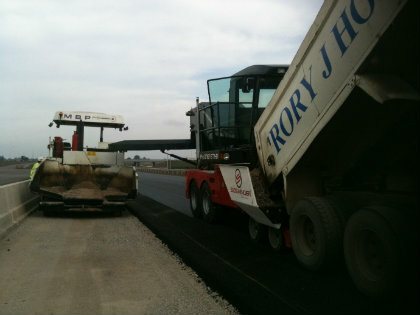 Use of the Sidewinder® Shuttle can also aid the quality of the finished mat by removing the traditional “bump” and subsequent deflection of the paver screed associated with the delivery truck backing onto the front rollers of the paver. The Sidewinder® Shuttle is equipped with a distance sensor, which once set by the Shuttle operator will automatically enable the Sidewinder® Shuttle to move in response to the movement of the paver ensuring that both machines move in unison. Improved safety through reduction in people/plant interface. These advantages can result in greater efficiency, programme enhancement potential, improved site cleanliness and good housekeeping.